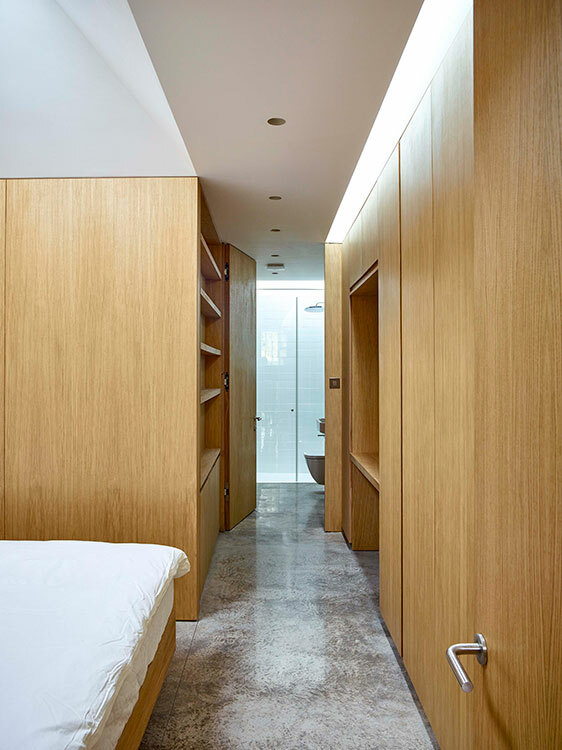 Hidden House is a new one storey dwelling in the centre of Clerkenwell Green Conservation Area, London. It’s difficult to find. The home sits above former prison vaults belonging to the Clerkenwell House of Detention, built in 1847, and next to a former Victorian School, Kingsway Place. 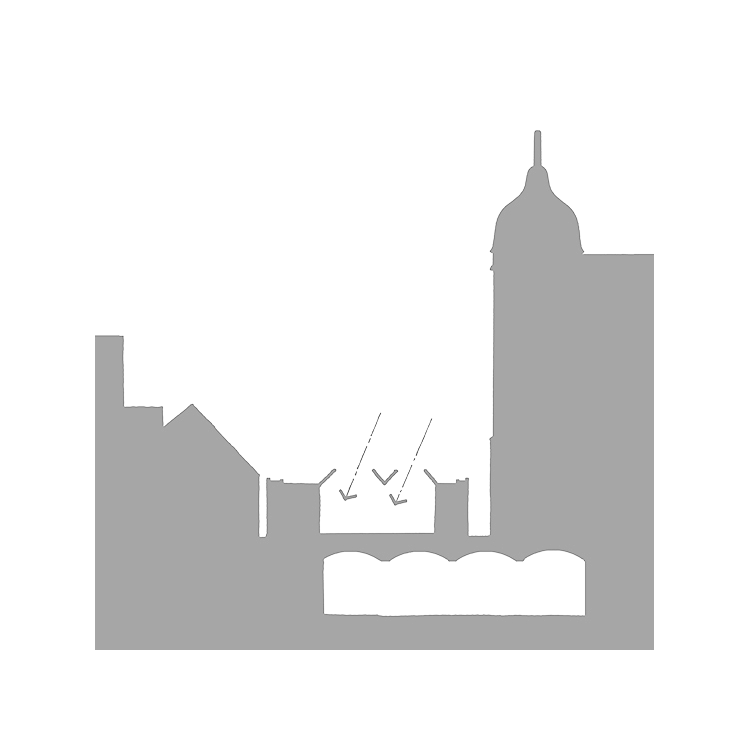 Both are Grade II listed buildings. 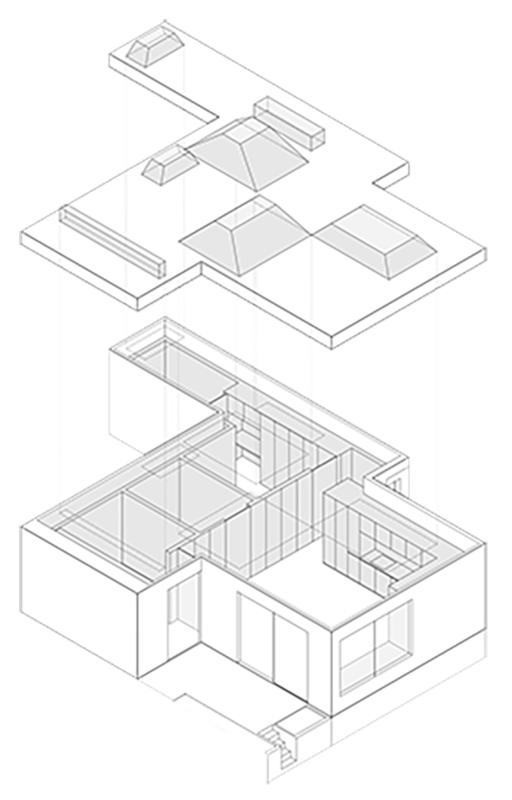 Previously occupied by a caretaker’s shed, the site is defined by a tall perimeter brick wall, in which the design carefully carves a space for the new residential dwelling, nestling itself respectfully next to and above its prominent neighbour, hidden from view – a primary consideration when considering any development on this extremely sensitive site. 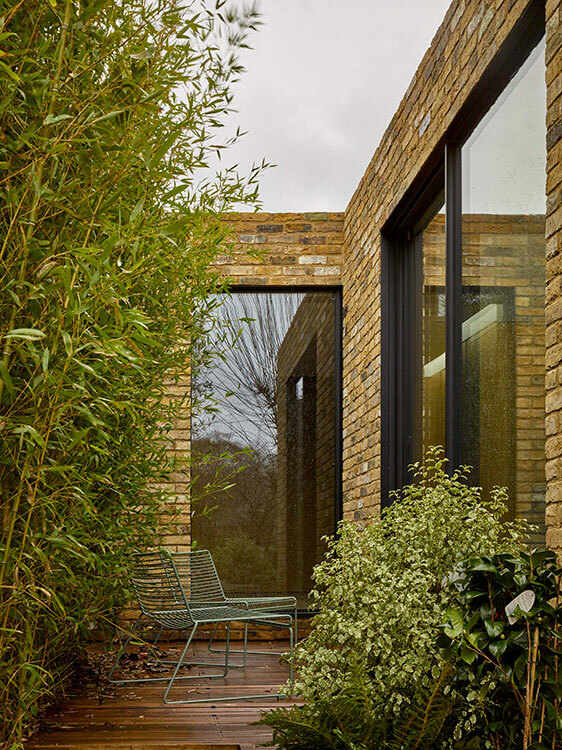 Hidden House successfully connects the residents to the landscape and sky and borrows the grandeur of the adjacent listed buildings to create an internal spatial monumentality. 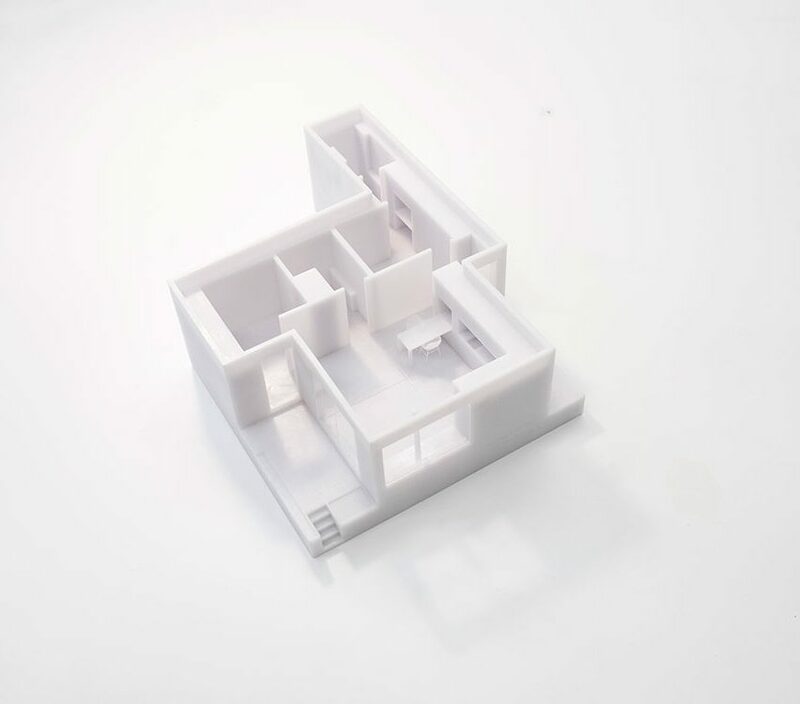 The petite new build enjoys two bedrooms, two bathrooms and a living/dining kitchen area with its own small private external space. 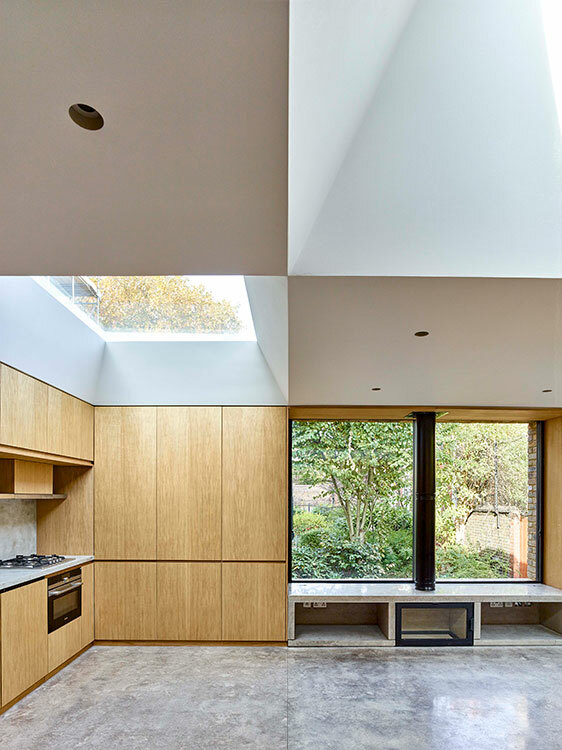 Ocular rooflights allow views to the sky and to the heavy decoration of the adjacent elevation of the former school building, whilst the vertical sliding doors in the front elevation reveal views into a large well-kept shared garden. 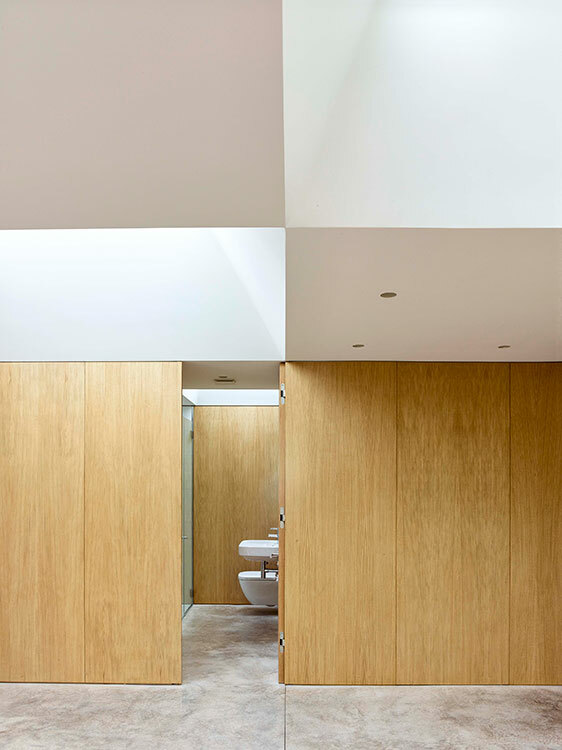 The interior of the home is defined as a perimeter wall of oak panelling, upon which sits a floating transparent punched roof, delineating living spaces below, bathed in light. 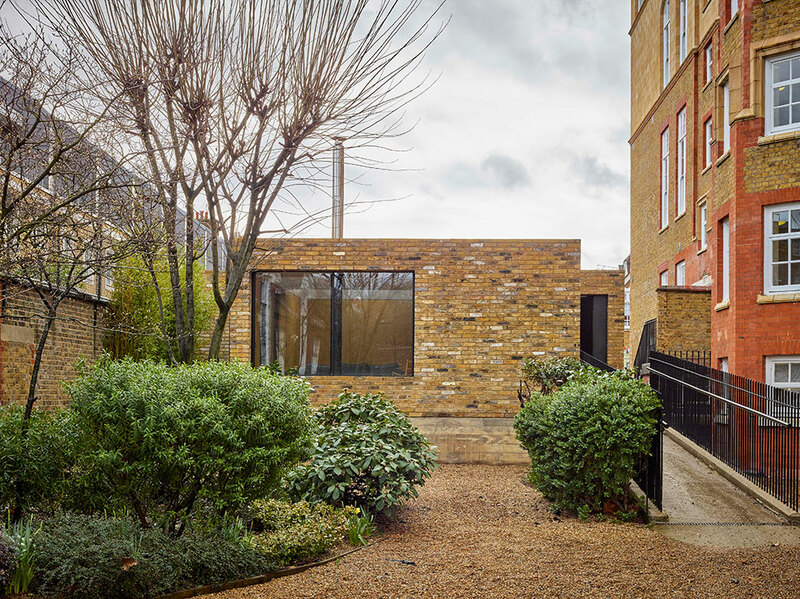 The uniform London Stock Brick, reclaimed and carried by hand onto site due to the listed vaults below, weaves Hidden House into its context. 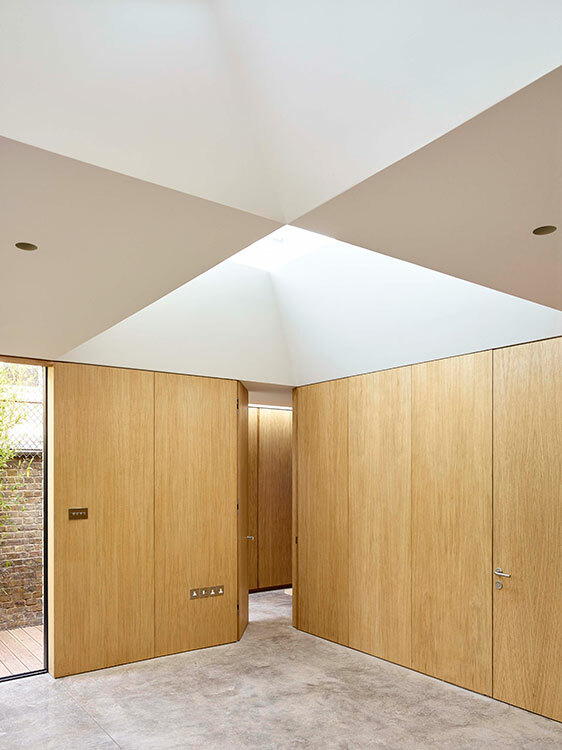 The undoubtedly demure home is a delight hidden in the thickness of a listed building curtilage wall. 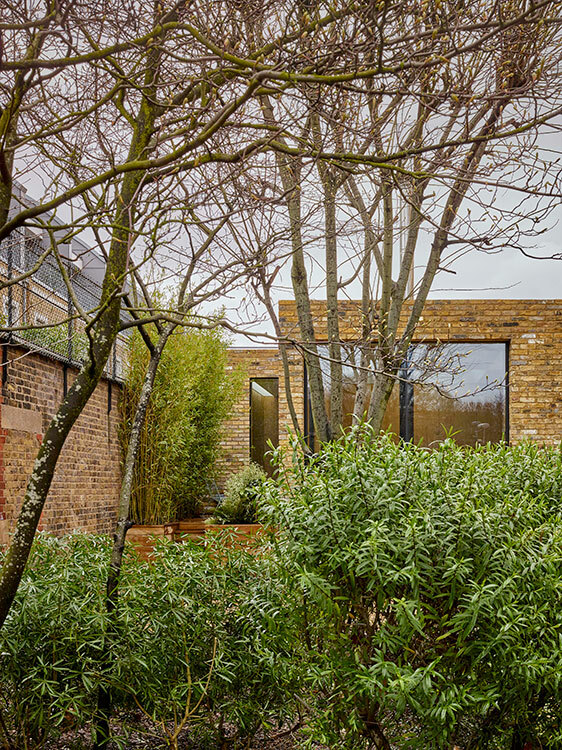 Despite its very central London location, Hidden House is a haven. Tucked tightly into the Kingsway Place grounds, clever landscaping and a flat profile allow the owners to sit back, inside or outside the home, and enjoy the retreat. 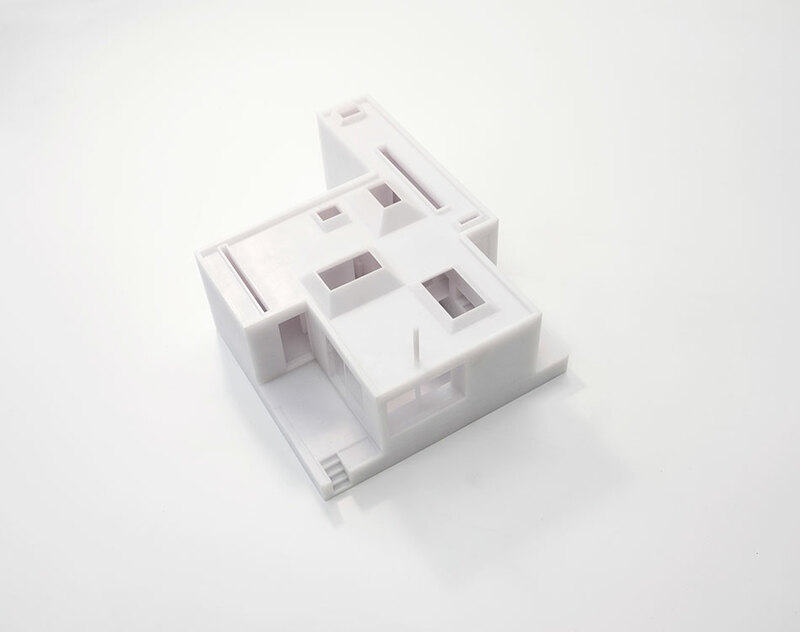 In-house 3D printed models of Hidden House helped us finesse our designs through an iterative refinement process, revisiting and reworking spaces and their components.